Due to popular demand, here are some more session tracks from Miss Black America. They were recorded for Steve Lamacq's Lamacq Live show on the 24th June 2002. 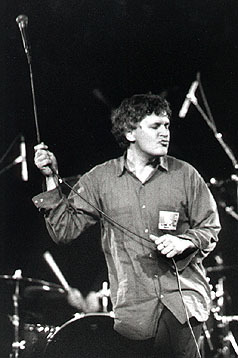 Plus as an added extra bonus, here's something from the forever mighty Guided By Voices. The song is Things I Will Keep from their Ric Ocasek produced 1999 stormer Do The Collapse. Oh how I spoil you people. I have made a Web site about lifestyle change. Hey there, I don't suppose you've still got these tracks kicking around anywhere. Particularly after 'Always'! Thanks!